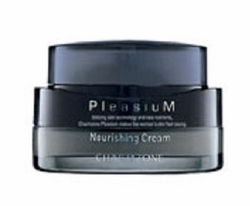 Charmzone Pleasium Nourishing Cream iis the best and most complete food for your skin. An abundant nutrient in Hive Complex Royal jelly, the complex of Bee honey and Pro polis, helps your skin look young and resilient. C-SBS components help to retain the skin's moisture and resilience. Enriched moisturizing ingredients protect the skin against dryness. • Dispense a suitable amount of Charmzone Pleasium Nourishing Cream and spread evenly over the entire face. • Reapply over wrinkle-prone areas such as the eyes and lips.